If a url contains a query string, the url is not cached but the situation is different for the urls which contains google analytics parameters. Google Analytics allows adding campaign parameters to the destination URLs to collect information about the overall efficacy of the campaigns. 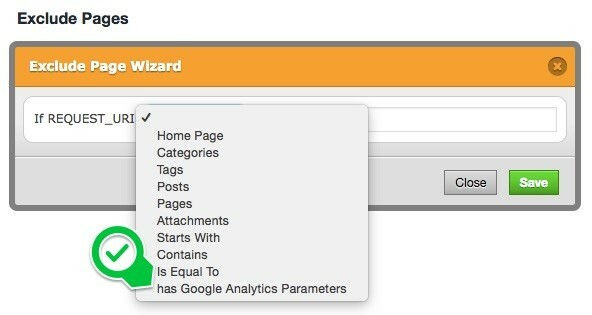 If a url contains any google analytics parameters such as utm_source, utm_medium, utm_campaign, utm_term, utm_content, the url is served via main page cache. You don’t need to do any extra action. If you want to disable this feature, you can exclude via “exclude” tab as below.